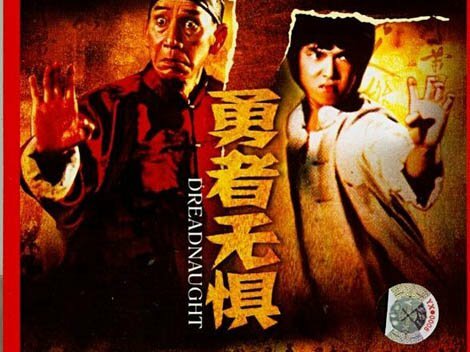 With a story by Wong Jing and direction and choreography by the great Yuen Woo Ping, Dreadnaught straddles the kung fu and comedy genres with ease, this should be no surprise as Yuen was responsible for Jackie Chan's first efforts to mix comedy into kung fu. Yuen didn't have Chan at his disposal for this film and so the fantastic Yuen Biao stars here. What is surprising about the movie is the introduction of a few horror tropes, which makes for an interesting combination. A rival kung fu schools plot is spiced up by the fact that one of them is Wong Fei Hung's (Kwan Tak Hing) school. The jealous Tam King (Philip Ko) runs the rival school and is looking for any way to get rid of Wong. Throw a wild card into the mix in the form of White Tiger, a man whose wife is murdered in the film's opening scene, sending him spinning into madness. Mousy (Yuen Biao) is an innocent and cowardly laundry worker who wants to learn kung fu at Wong's school. Without knowing why, he's targeted by White Tiger who also murders his friend Foon (Leung Kar Yan), all leading to the inevitable showdown. Yuen Woo Ping packs so many different ideas into Dreadnaught, it can be quite disorientating, from the broadest of broad comedy to some genuinely funny scenes right through to the horror overtones I mentioned before. In between we get Yuen Woo Ping's customary excellent action choreography, covering everything from laundry fu to an inspired sequence of a tailor using his tailoring equipment to try to kill Wong Fei Hung while measuring him for a new suit. The most impressive scene has to be the lion dance early on in the film. Truly memorable, the precision and skill involved in this scene is amazing, and that's before they even start to fight! It's worth tracking the film down for this sequence alone. 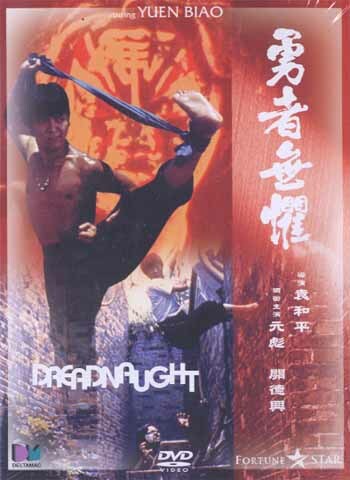 Yuen Biao is excellent, but due to the storyline, he doesn't get to showcase his skills as much as I would have liked, but the fighting he does is great. Kwan Tak Hing is great as Wong Fei Hung, a role he had played many times previously, with this time being his last, the illusion of him still being a supreme martial artist is excellently handled and is a fitting tribute to the actor. Special mention must be made for Yuen Shun Yi who takes overacting to a whole new level, never before has one man overacted to such a degree, thankfully due to the film's largely comedic tone, it works. 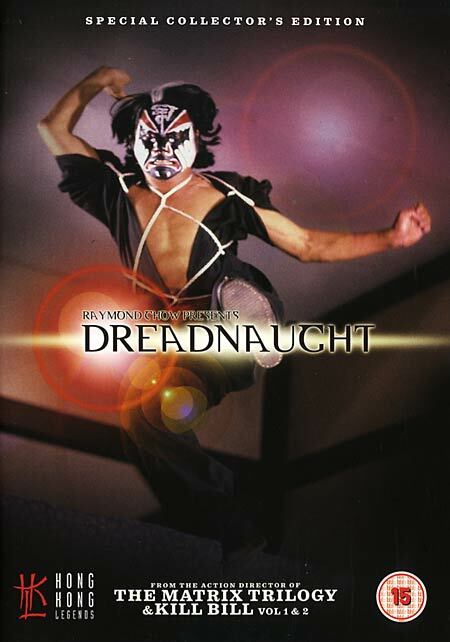 It would have been interesting to see a Dreadnaught minus the comedy, instead emphasising the horror elements a little more, perhaps making more of White Tiger's striking Peking opera makeup and with more sequences like the fight in the darkness between him and Foon, a fantastic scene. That isn't the way the film went however, so what we do have is an excellent fight film, with a number of outstanding scenes, some fun performances and the undoubted genius of Yuen Woo Ping. Great one man! I love this film! I saw it countless times in the 80's after I saw this documentary on HBO about martial arts films narrated by John Saxon. They focused on a lot of these Chan, Biao and Hung films during this time. After that I was hooked. I have to agree with you. I would have liked to have seen this film minus the comedy and focused more on the horror element or maybe just some straight up action thriller or something. That would have been something. Speaking of that "laundry fu". When I saw Batman & Robin at the theater (yes, I admit it) and they showed that scene where Robin was doing "laundry fu" in the laundry room, I had to laugh. I knew exactly where they stole that from. lol. Need to see this one! I just got through viewing True Legend (2010) which was directed and choreographed by Ping. It was a big budget action fest, though for some reason Chinese people hated it. robotGEEK, I remember that Saxon documentary, it was called The Best of Martial Arts (at least the UK tape was) and it was great. My tape is long gone now, I wonder is it available on DVD ? Mart, what would you say is the best Chinese Horror film, or the best martial arts film to successfully incorporate horror elements - I never saw A Chinese Ghost Story or The Bride With White Hair - should I track these down ? rG, yeah they could have made different choices but I loved it anyway, some stunning sequences. Don't feel so bad I saw that bag of crap too! FilmC, I haven't seen True Legend yet, it wasn't just the Chinese who hated it, HK fans in general were quite vocal about it. Wes, it's definitely worth tracking down both of those two you mention. Wes: I think that's what it was called here too. 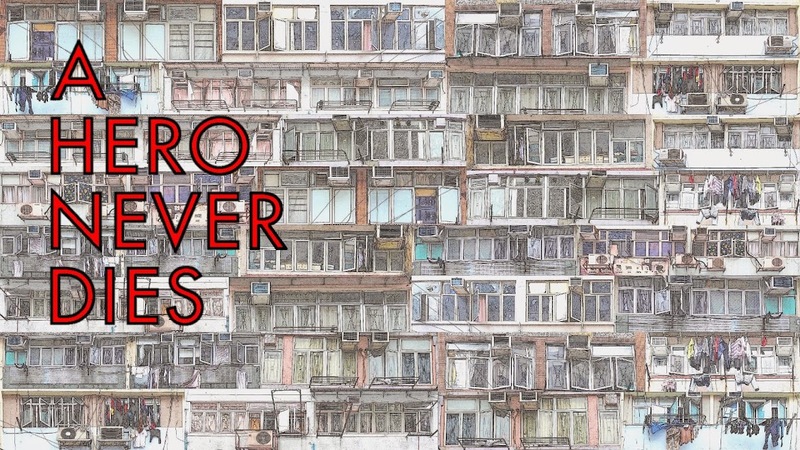 I had actually recorded it and watched it over and over and over again, which is what started my fascination with Hong Kong cinema back then. I have no idea what happened to it. For all I know, I probably still have it recorded somewhere on an old VHS tape, but I'm too lazy to go through them all to look. lol. But that was a really great documentary. Is it bad I'm only finding out about this post now by lurking back to posts I've missed? Good post. Wasn't exactly familiar with this film beforehand. Where would you rank it in comparison to Yuen Woo-Ping's other films? As from my experience, I've liked him more as an action director than his own feature film work.